All the focus over the past few months has been on 5 young handsome men from the U.K. and it hasn't been The Wanted! Yes One Direction have taken their share of the limelight recently with scenes of absolute mayhem with screaming fainting girls wherever they go. 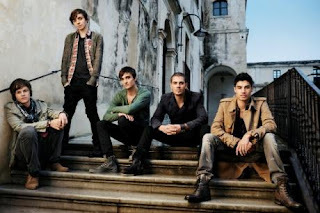 Wanting (sic) to get a slice of that pie back The Wanted have released their new video for Heart Vacancy - a much slower track than their previous singles like Glad You Came and Lightning. We've heard better from the lads but no doubt the fans will enjoy the video tastefully shot in Italy. What do you think?